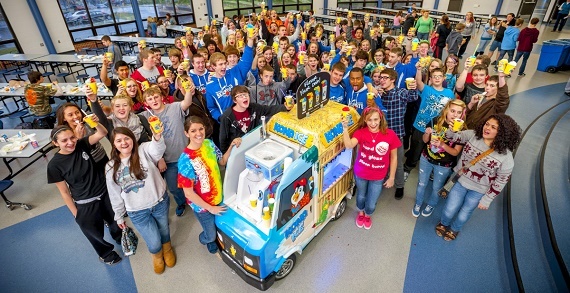 Let Kona Ice fundraise for you! 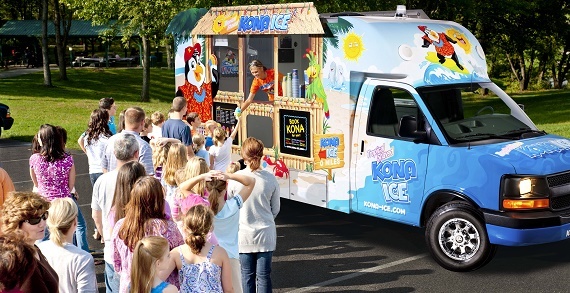 When community organizations invite Kona Ice to their events––school lunches, dances, tournaments, swim meets, plays, concerts, movie nights, church gatherings etc.––Kona Ice always donates 25% back to your organization. An easy, fast and fun fundraiser! 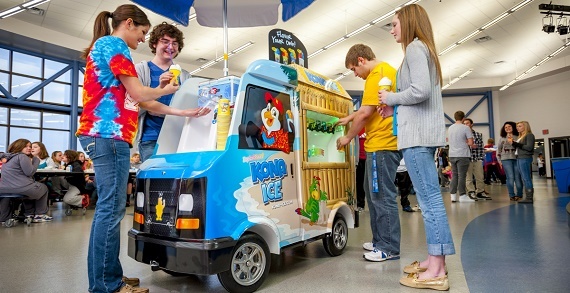 For inside / cool weather events, Kona Ice has a cute "mini" truck that fits through doors! Kona Ice also has full-size food trucks if your event is outdoors. 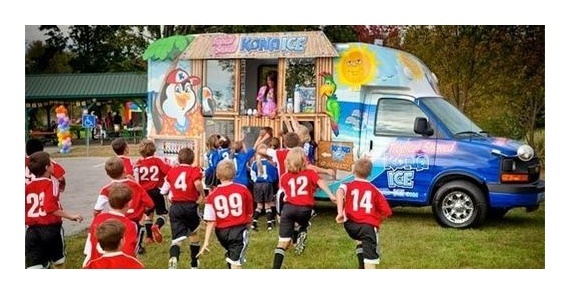 Kona Ice is a delicious and healthy treat––about 1/3 the calories of a sports drink. All the flavors are free of nuts, wheat / gluten, dairy, eggs and all other common allergens. Sugar free and dye free flavors are available by request. Kona Ice shaved ice treats sell for $3-5 depending on size.